Wood should be as dry as possible for burning, otherwise the heat in the firebox is used to heat up and evaporate the water in the wood. That means you produce less heat and more condensates in the chimney. Condensates are the cause of chimney fires. We therefore only supply seasoned logs to our Ryedale customers. 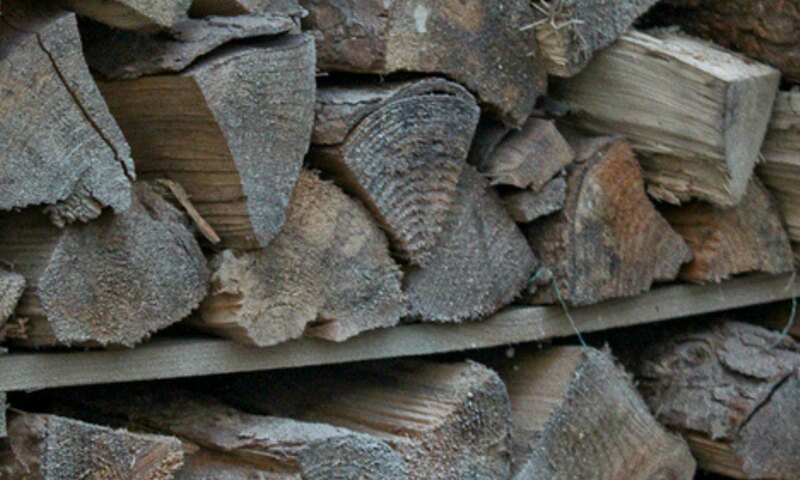 Drying the wood or seasoning is critical to burning logs successfully. This crucial stage means drying the wood out until it’s in prime burning condition. Freshly felled and chopped hardwood has around a 50% moisture content. Trying to burn wood in this condition is harmful to the environment, and produces creosote which also causes chimney fires. We kiln dry our hardwood logs until they are less than 20% moisture content. This makes them 60% more energy efficient than at the time of felling, and guarantees an efficient carbon neutral fuel that burns with a hot, bright, clean flame. No seasoning, no roaring fire! If we have to cut down trees this is done in the winter (Nov – Jan) when the tree is dormant and the sap has not yet risen. Once the sap starts rising with the onset of spring the tree’s moisture content obviously increases and it will takes longer to season. When the wood seasons we protect it from direct rainfall and lay it on a dry base. The sides of the stack are left open so that the wind can get to the wood to dry it out. We cut and split our logs at least a year before selling and again we store it so that the air and sun can dry it out. We advise customers wherever possible to buy their winter’s log supply from us in the Spring and store it under cover but where there is plenty of air circulation. That way they will be perfect when the cold weather arrives. A firewood moisture meter will you get the most out of your stove and ensure whoever supplies you that you are getting well seasoned wood. Your firewood moisture meter will help to confirm that your wood is well seasoned and lets you gauge exactly how well seasoned it is. Sadly there are firewood suppliers who supply firewood, claiming it is seasoned, when in fact it far from it. The first you will know of it may well be when you notice that your wood burning stove isn’t giving out any heat and that the window is getting tarred up. Burning unseasoned wood will also tar up your chimney (increasing the risk of chimney fire) as well as reducing the life of your wood burning stove and chimney. Burning unseasoned wood is inefficient and results in high levels of particulates, which is bad for health. In terms of how much heat you get out of your wood stove the moisture content of your firewood is probably the single most important thing to consider, which is why a firewood moisture checker is so important. They aren’t expensive and can be bought from most stove supply shops and Amazon. Brian Pask Logs – your local supplier of the finest quality hardwood seasoned logs in Ryedale, North Yorkshire and beyond.